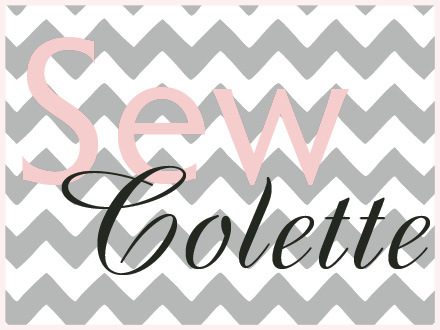 Sew Colette - Pastille Parade! It's the Pastille Parade Day! Below I have posted photos of some of the talented ladies from the Sew Colette Flickr group. Karissa Jo from KittyKittyCrafts looks amazing! The color is so pretty and those pleats turned out perfectly. The background behind her is cool too! I've featured Rochelle from Lucky Lucille twice now, but I can't help it! I love everything she makes... and secretly want to become her BFF! :) Don't you love the changes she made to the dress? My favorite part is how she made a collar from the facings. Christine from What's up Cupcake? is another person that made some awesome modifications to the original dress pattern. She added some lace to the bottom pleats that peak out just a bit. You will have to check out her blog for the closeup photo. Check out her blog anyway, she posts some amazing sounding recipes! I know that it's not quite finished, but I wanted to feature Symon's dress. 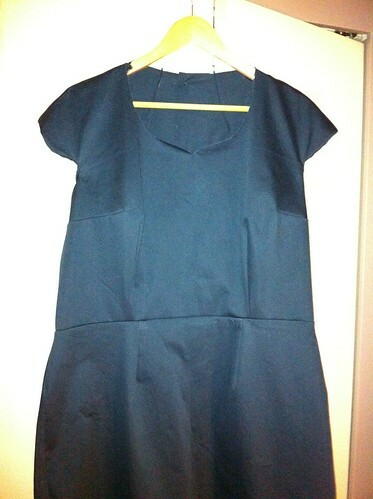 This is the first fitted dress she has made and so far it looks really good! 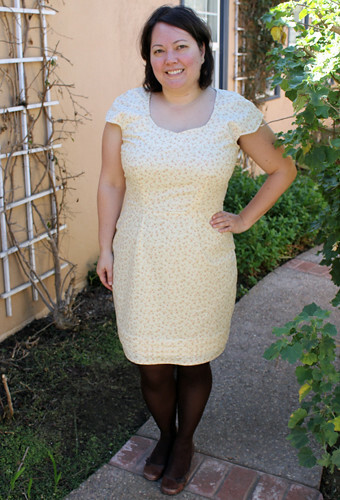 Rachel used such a cute fabric for a perfect spring dress. Couldn't you imagine yourself wearing this on a sunny day of wine tasting? I know that I could. Next up, the Truffle dress! What a lovely group of dresses!! So many awesome dresses! Thank you for including mine in the bunch! Aw, thank you so much for the kind words! I love everyone's dresses, and I can't wait to see what we all whip up for the Truffle! they are good! Love the yellow polka dots!! I'm finally catching up on my Reader... Thanks for the feature! Such good company to be in, too! I love love love this dress! I'm your newest follower and I can't wait for summer(I'm a teacher) so I can sew along with you!